Colonel Francis Martin TOMKINSON, D.S.O., T.D. 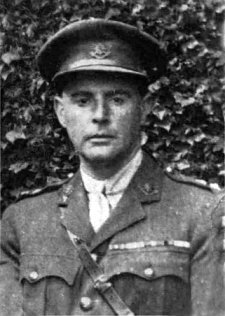 Commanded the 7th Battalion Worcestershire Regiment from 1917 to 1921. Born in Kidderminster in 1883, Colonel Tomkinson was the son of Alderman Michael Tomkinson, who was seven times Mayor of Kidderminster. He had a long and honourable association with the 7th Battalion Worcestershire Regiment, which he joined in 1908, being promoted Lieutenant two years later. When the First World War began he was its senior subaltern and he became temporary Major in 1915. On the re-forming of the Territorial Army in 1920 he was promoted Lieutenant-Colonel. He served in France, Belgium and Italy during the 1914-18 war and was mentioned in despatches six times. He gained the Distinguished Service Order in January, 1917, and a bar to his D.S.O. in July, 1917, at Gillemont Partin. From the French Government he received the Legion of Honour and from the Italians the Italian War Cross. He was honorary Colonel of 7th Battalion The Worcestershire Regiment from July, 1929, to December, 1952. 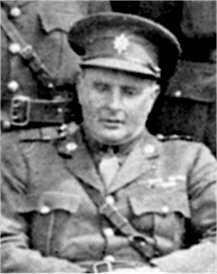 Colonel Francis Martin Tomkinson, of Chilton, Cleobury Mortimer, died on 24th November 1963, aged 80 years. He was a solicitor and a founder-member of the Birmingham firm of lawyers of Evershed & Tomkinson. He was also a member of the well-known Kidderminster family who run the carpet firm of Tomkinson's Ltd. His funeral was held at Cleobury Mortimer on 27th November 1963. A bugler from Whittington Barracks, Lichfield, sounded the "Last Post." The Regiment was represented at Colonel Tomkinson's funeral, by Colonel H. J. C. Lattey, T.D., DL., Honorary Colonel of the 7th Battalion (also representing the Colonel of the Regiment), Lieut.- Colonel J. D. Ricketts, D.S.O. (also representing Brigadier B. C. S. Clarke, D.S.O. ), and amongst many past and present members of his old Battalion, 7th Battalion The Worcestershire Regiment (T.A. ), by Colonel W. R. Prescott, M.C., T.D., D.L., Colonel D. N. Cronin, O.B.E., T.D., Colonel E. R. W. Tooby, O.B.E., M.C., T.D., Colonel C. G. Elkington, D.S.O., T.D., D.L., Lieut.- Colonel R. H. Edwards, T.D., Lieut.- Colonel J. B. Brierley, M.B.E., M.C., J.P., Lieut.- Colonel J. Parkes, M.C., D.C.M., Lieut.- Colonel R. E. Hamilton, T.D. (Commanding 7th Battalion), Major R. H. Leslie-Jones, Major J. S. Bailey, T.D., Major S. G. Goodman and Captain P. G. Adam. His elder brother, Lieut.-Colonel Sir Geoffrey Tomkinson, had also died earlier the same year.